The new Standard of Excellence! 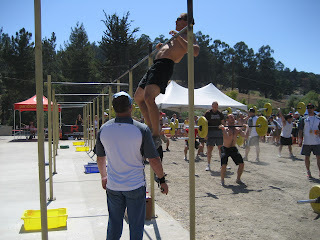 There is all ways some one complaining about chicken necking or reaching with the chin to do pull ups. Well Crossfit did away with any questions of a legit pull up. Chest to bar every rep thats the new standard. Tuesday Thursday Time slots still open.